Paris, New York, London. These are the cities that usually come to mind when thinking of world-class art destinations. But an oft-overlooked art capital is quickly gaining its long overdue recognition. With over 150 museums, a rich cultural past, and as the storied home to art legends, Frida Kahlo and Diego Rivera, Mexico City should be at the top of any art lover’s must-visit list. Take a peek into Mexico City’s thriving art scene below with a few highlights from the colorful capital. With this list, we are barely scratching the surface of all the city has to offer, but, it should still be enough to inspire your next getaway. A trip to Mexico City wouldn’t be complete without a visit to the Frida Kahlo Museum, also known as La Casa Azul for its distinctive cobalt color. This was the iconic artist’s family home where she grew up, lived for many years with her husband Diego Rivera, and died. Not only can you see many of her striking artworks, but you can also get an intimate look into how she lived her life and the daily struggles she endured that manifested in her art. Follow it up with a visit to Museo Casa Estudio Diego Rivera and Frida Kahlo, the home and studio of Frida and Diego, where they lived from 1934 to 1939, and where Diego lived after Frida’s death. The home is actually two homes one for Frida and one for Diego connected by a foot bridge, and is a beautiful example of functionalist architecture. most recognizable museums in the city, its flashy modern exterior has a distinctive abstract form and is just as beautiful on the inside as the outside. The sweeping white walls and minimalist décor will guide you easily through the museum’s six levels. Oh and if you needed any more incentive, entrance is free for all. houses 17 murals from seven national artists, including Diego Rivera’s famous, Man Controller of the Universe. It’s also home to the National Theater, the National Museum of Architecture and many rotating popular and fine-art exhibitions. It’s a good place to kick off your art tour of this dynamic city. 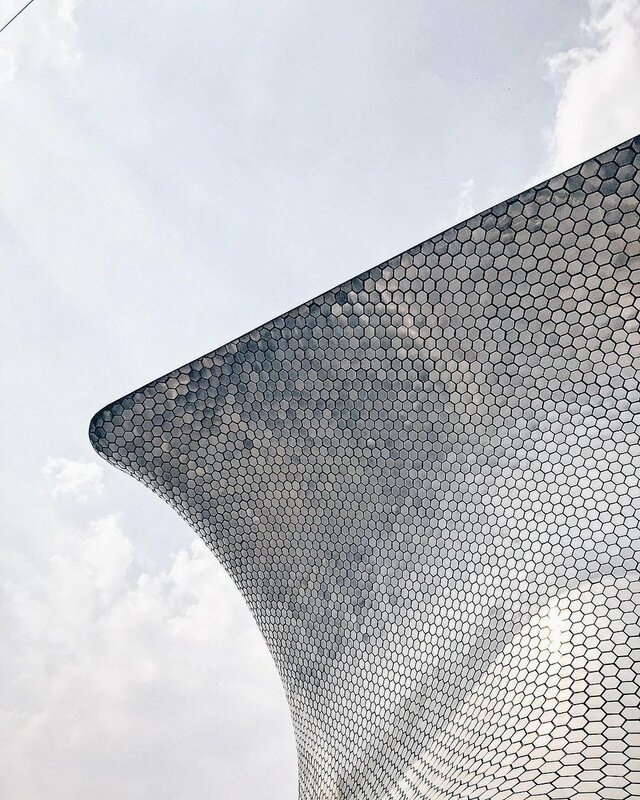 Also located in Mexico City’s historic center, head to Mexico City’s Museo de Arte Popular (Folk Art Museum) for a taste of Mexican history and tradition. Focusing on handicrafts throughout Mexico, the museum features textiles, ceramics, alebrijes (colorful folk art sculptures of fantastical, imaginary creatures) religious items, and more from all over the country. This is a great place to root yourself in Mexican heritage through the lens of the items and traditions that have come to define it. nondescript gray façade looks like nothing special, but upon entering, the home’s minimal, geometric design will have you marveling from room to room. With a focus on the interplay of light, shadow, color and form, each room creates a special feeling and ambiance that needs to be experienced rather than described. It also happens to be the only private residence in Latin America to be named a UNESCO World Heritage Site.